STEM is an integrated approach to teaching science, technology, engineering and mathematics by exploring the real world. Exploring STEM practices helps children develop strong skills in problem solving and communication that can be used later in life. What do you mean by a ‘preschool service’? We define a preschool service as a structured, play-based learning program, delivered by a degree-qualified early childhood teacher, aimed primarily at children in the year before they commence full-time schooling. Preschool services are also known as kindergartens, child and parent centres, and early learning centres. How can I join the ELSA Pilot? ELSA conducted an expression of interest (EOI) process in 2017 for the 2018 Pilot. We received an overwhelming amount of interest and more than 880 applications. We selected 100 pilot centres from the EOI submissions for the 2018 Pilot. For the 2019 pilot, some centres will be continuing and some new centres will be selected from the EOI submission list. We are currently not accepting submissions from preschool services to take part in ELSA. However, if you would like to receive updates about ELSA, please subscribe to our newsletter. When does the 2019 pilot start? The 2019 ELSA Pilot will start in preschool services in Term 1, 2019. Which tablet devices support ELSA? ELSA apps will operate on Apple iPads and Android tablets. A device list for Android tablets will be provided shortly. Check back soon. Do educators need to have a science background to be involved? Not at all. ELSA is all about STEM concepts and practices. Educators already adopt this approach by encouraging children to ask questions, make predictions, try things, and reflect on what happened and why. By participating in the pilot, educators and families will find new ways for children to engage with STEM concepts and practices. Can I get help with tablets and digital technology? Absolutely. 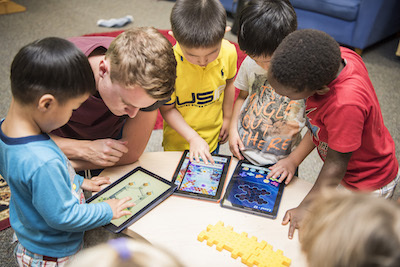 The ELSA Pilot supports educators to incorporate tablets and digital learning within existing preschool programs. Contact ELSA support with any technical questions you might have. ELSA uses apps to create meaningful opportunities for children to explore rich digital learning environments. However, the ELSA apps are only one third of the overall program. Children are expected to spend a maximum of 40 minutes per week engaging with the ELSA apps. 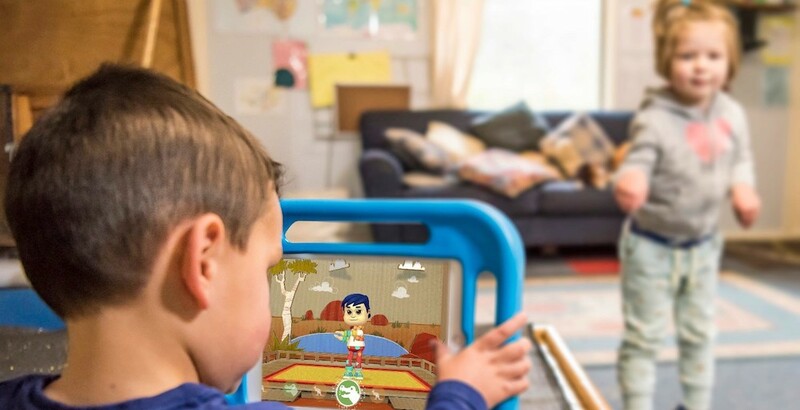 This is likely to occur across multiple shorter sessions, and is consistent with screen time guidelines from the Australian Government. The ELSA apps have been carefully designed with early childhood experts to support active play. Is my privacy protected? What data will be collected? We take privacy seriously. The privacy of all participants – including children, educators and families – will be protected when participating in the ELSA Pilot. For example, data on app usage will be collected to help us improve the program. This data will be stored securely on Australian servers. If you have any questions about privacy, please contact us at team@elsa.edu.au. Yes. Families of children from an ELSA Pilot preschool service are encouraged to participate. We have developed a Families app to support a strong connection between children’s homes and preschools. Find out more about how families can be involved on our For Families page. Enter your mobile number (make sure you use the same mobile number you provided to ELSA initially, as this is connected to your account). On the ‘Reset Password’ screen, enter a new password. Then touch ‘Update password’. A verification code will be sent to the mobile number you entered. Enter the verification code on the ‘Verify your phone number’ screen. Note: if you do not remember your mobile number, or have new accounts that are not already linked to ELSA, please call our support team on 1800 931 042. We will need to set up your new details to give you access. How do I set up another team member to access the Educator app? Privacy is important to us. To keep your preschool service’s information secure, we keep a list of approved staff at each centre. the educator’s mobile number and/or email address, so they can verify their account. We will double-check your request with our primary contact at the preschool service before adding a new educator to the list. This process can take up to a week. Once the new team member is added, we will notify them via their mobile number or email address. Do I need WiFi to use the ELSA apps? You can use all the ELSA apps without WiFi, but we ask that you access WiFi at least monthly to upload usage data and check for updates. The ELSA Educator app and Families’ app do require WiFi to work properly. What if a child accidentally uses someone else’s player profile? The ELSA apps are designed to support each child’s unique progression by offering certain tasks and activities once they are ready to work through various levels of complexity. So it’s a better experience for the children if they play using their own profile. You can reduce the likelihood that a child will accidentally use someone else’s player profile by supervising children at the start of each session. This is when the apps will prompt children to make sure their picture is selected before playing. Where is the ELSA data stored? ELSA data is stored in Amazon Web Services (AWS) Sydney data centre. Can families access the ELSA session data on their child? The ELSA Families app does not contain session data. However, if parents or legal guardians want to know how much time their child is spending on ELSA each week, this information is available via each child’s profile in the Educator app. We encourage educators to share ELSA content that children have created with their families. Why do I need to connect the Educator app with the ELSA apps for children? By connecting the apps, session data and ELSA content can be sent from the children’s apps to the educator app. Educators can then view session times and ELSA content created by the children participating in the pilot. How can I see how much time each child has spent on the ELSA apps for children? In the Educator app, tap to the ‘Children’ tab in the main menu at the bottom of the screen. Tap the profile picture of the relevant child to view their details. Under the child’s profile image is a list of activities that relate to each of the children’s apps. For example, App 1: Patterns and Relationships is listed first. On the right side of screen, the time spent during the current week and total time spent for each app is listed. To see how much time has been spent on each of the four activities within an app, tap on the activity icon (e.g. Lunch boxes) and select the ‘History; menu in the top right. I have a STEM question. Who can I ask? Ask our support team at ELSA. We are ready to assist you with any STEM questions. Call 1800 931 042 or get in touch via our support page. If you want advice from other educators in the pilot, you might like to try posting your question in the Messages section of the Educator app. Your question can be read by all the educators in the pilot, and some may be able to help you. You need to have WiFi switched on to use Messages. How do I mute the audio in the ELSA children’s apps? Go to the main menu screen of the children’s app. Tap the button at the bottom of the screen that says ‘Educators’. Answer the math question to get access. Locate the ‘Device Settings’ section. Next to ‘Music enabled’ and ‘Voice enabled’ tap the buttons so they say ‘off’. How do I select the class for the day in the ELSA children’s apps? Tap the ‘Educators’ tab on the main menu in the children’s app. You can access the educator settings by responding to a simple addition question. Choose the class for the day by tapping ‘Select active class’. This will allow you to change the class. If you would like to be automatically prompted to select the class for the day, ensure that the ‘Prompt startup daily active class selection’ button is on. How do I edit a child’s profile? You can edit a child’s profile via the Educator app or the children’s apps. We’ve explained each method below. Tap the ‘Children’ tab in the main menu at the bottom of the screen. Tap ‘Edit’ in the top left of the profile to make changes. You can update the following details in the Educator app: child’s name, month and year of birth, child’s class, allow data sharing (on/off), allow photos to be used (on/off), and delete profile. When you have finished, tap ‘Done’ in the top left of the profile or ‘Cancel’ in the top right to discard changes. When you have finished, tap ‘Done’ in the top left of the profile or ‘Cancel’ in the top right to discard changes. Tap the ‘Educators’ tab at the bottom of the screen on the main menu of the children’s app. You can access the educator settings by responding to a simple addition question. In the educator settings, select ‘Edit children details’. You can edit ‘Name’ and ‘Appearance’. The image choices for ‘Appearance’ are: child’s initials, animal avatar or a photo. Once you have made changes, tap the back arrow button and changes will be saved. How do I connect the camera, microphone and camera roll to an app? When you first log in to one of the ELSA children’s apps, you will be guided through three steps to give access to the camera, microphone and camera roll. On each screen touch ‘Grant Permission’. Then touch ‘OK’ on the pop-up windows. If you accidentally touch ‘Don’t Allow’ on one of the pop-up windows, or need to update permissions later on, follow the steps below. Locate the ‘Permission Settings’ section and tap the ‘Settings’ button. Locate the Microphone and Camera icons on the right side of the screen. Move each button to the right to allow access. Select ‘Read and Write’ (this gives access to the camera roll). Tap the button at the bottom of screen that says ‘Educators’. Locate the ELSA app in the list of apps on the right side of the screen. Move the ‘Camera’, ‘Microphone’ and ‘Storage’ (photos) buttons to the right to allow access. How do I add a child in the Educator app? Tap on the ‘Children’ menu tab at the bottom of the screen. Tap ‘Add…’ in the top right hand corner of the screen. Tap ‘Add Child’ from the drop-down menu. Type the child’s first name and first letter of their last name. Type their year and month of birth in the next field. Check that the child is assigned to the correct group/class. If they are not, tap ‘change’ and follow the prompts. Choose an option for how to identify a child with an avatar image. We suggest using a photo of a personal artefact (such as a their backpack or a favourite toy) that is easily recognised by the child. Alternatively, you can use one of the preset ELSA animal symbols or default to the child’s initials. When you have finished, tap ‘Done’ in the top right corner of the screen. How do I add a class or group in the Educator app? Tap ‘Add Group’ from the drop-down menu. Type the group or class name. You can enter notes in the box below. Add an image to represent the class or choose a preset ELSA animal avatar. Tap the ‘edit’ button on the right side of the screen next to the class you would like to edit. Update the name and image and then tap ‘Done’ Note: a class with children cannot be deleted. To delete a class, the child must first be moved to another class (or deleted). How can I view content created by a child in my group? At present you can only view some content created by children in your group. To do this, go to the Educator app, select the Children tab, then navigate and find the child’s profile. Tap on the child and then choose a particular activity to view. Then select the tab ‘User Generated Content’. Now that we have introduced the ‘Achievements’ tab for the 2019 Pilot, we are currently working on re-integrating some functionality into the new-look child’s profile in the Educator app so that educators can see more content created by children. Stay tuned for updates. How can I approve photo stories created by my class to be published in the ELSA Patterns app? Children and educators can create photo stories in the ELSA Patterns app. These will then appear in the Educator app for educator approval. If a child has created a photo story, the educator will see a notification in the child’s profile under the ‘Photo story’ activity. Educators can either approve or decline the content. If the photo story is approved, the group will be able to access the story from the app. You can also call 1800 931 042. We will get back to you as soon as possible about your issue.